I am back today with a couple of Springtime/ Easter cards for the current theme at Penny Black and More challenge. Still plenty of time to join us if you haven't already or maybe you'd like to play along again - remember you can play along up to 3 times - for more chances to win. 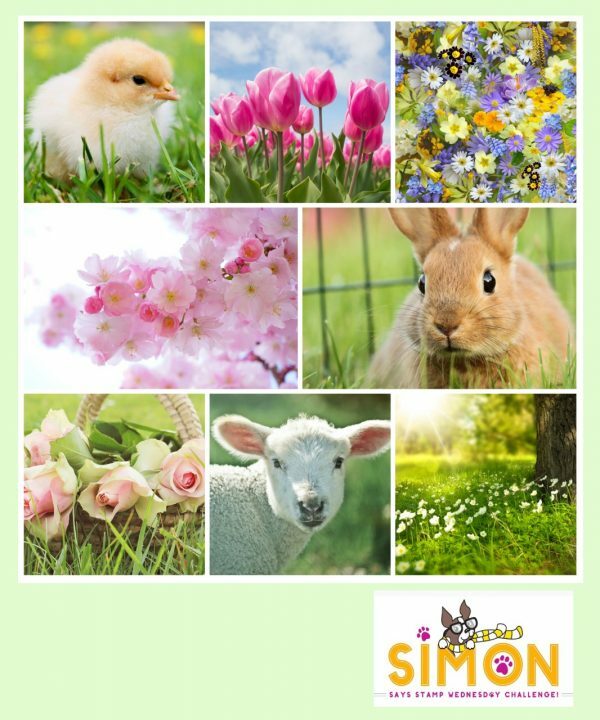 Our theme is simply "Springtime" so if it has a spring feel to it you can share it, just be sure to follow our simple rules which you can read about on the challenge blog. It's no secret that I love the Penny Black bunnies (and their animal stamps in general) and although these particular ones are wood mounted and have been retired some years ago, I reach for them every year for spring themed cards. Both were stamped with Versafine Clair Nocturne ink and watercolored with my Zig Clean Color markers and a Zig Detailer waterbrush. I used Winsor and Newton watercolor paper. Here I used the stamps "Bunny Kiss" and "Happy" (sentiment). The butterfly die is part of Penny Black's Flowing Butterfly die. I die cut it with white card stock, trimmed off the one I wanted to us and inked with Mustard Seed Distress ink with a little bit of Wild Honey ink on the edges of the butterfly. The paper strips are from my drawer of paper scraps. These particular ones are by stampin up but long retired. Wishing you a Happy Easter, hope it's filled with lots of sunshine! Currently FREE SHIPPING (USA only) at $50 or more at Scrapbook.com. Use Coupon Code FREESHIP423. International costumers can use Coupon Code FIVEAPR423 to receive $5 off an order of $50 or more! Ends 4/18. "Wings, Tails or Spring Blossoms". Feel free to choose one, two or all three! The linky tool has been added at the end of this post again, but as always it is also still accessable on the original April challenge post. 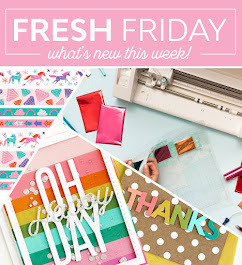 Off topic, but did you hear Mo Manning's Design team brought back their blogging challenge? I personally don't care much for Facebook challenges so I entered there only once while it was held on Facebook. I don't know about anyone else but I find blogging a much better platform for those types of things. So I am really excited that their challenges are back in blogland and thought I'd spread the word to those who haven't heard! But now back to my card ... I decided to combine this post with Mo's Digital Pencil Challenge (among some others) so I used the image Teen Fairy Mia for my card. She's been colored with my Faber Castell Polychromos pencils (my choice of coloring medium for digital images) on Neenah 80lb card stock. 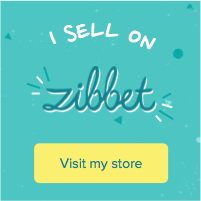 Currently FREE SHIPPING at $50 or more at Scrapbook.com. Use Coupon Code FREESHIP423. Ends 4/18. I decided that I wanted some stencilling behind the image, so I tore a post it note into small pieces and layered them over the image where needed as a mask. The stencilling is hard to see in the photos as I used a really pale pink ink (Spun Sugar Distress Ink) for the stencilled design. The stencil is by Penny Black - Hypnotic. You can see more of the stencilling in the photo below. But isn't this image GORGEOUS!! You might also notice that I added some sparkles to the wings and the flower using my clear Wink of Stella glitter brush. I embellished with a pink button from my stash and white cotton twine. I rounded the corners and layered the image over a pattern paper by 7 Gypsies. Unfortunately I am not sure which paper pack it's from. The "Happy Birthday" sentiment is part of a set given away for free by Scrapbook.com - Handmade Essentials. The "From the Heart" is a metallic sticker by Tim Holtz' Quotations. If you are in the United States then I hope you took advantage of this offer, but if not, you might still be able to get it - the coupon code still worked as I type this (4/16). You do have to pay for promotional shipping which is $2.24, but that wasn't a deal breaker for me. Also, this is not a cheap quality set like those you usually find in the Dollar Bins. This set is made in the USA of premium photopolymer and stamps beautifully. I love how it also includes stamps for the back of cards or as as letter seal. If you are interested in this set, be sure to add coupon code FREE3762 - this will take $10.00 off (the cost of the stamp) and then will show a shipping charge of $2.24 in the cart. Unfortunately this offer is only good within the United States. Here is what it looks like. 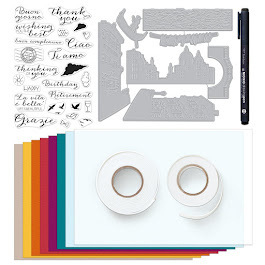 On another note, Scrapbook.com currently offers FREE SHIPPING at $50 or more for US shipping adresses with coupon code FREESHIP423. (International costumers can use coupon code FIVEAPR423 to receive $5.00 off an order $50 or more). But please note: you can only use one coupon code at a time, meaning, if you'd like to get the set above for free you will have to place a separate order because a promotional shipping charge does apply for that set, and once you enter the free shipping coupon code it will remove the other coupon code for the free set. A bit confusing, right? But I think most retailers usually allow just one coupon code at a time. Note: The Free Shipping Coupon expires on 4/18. 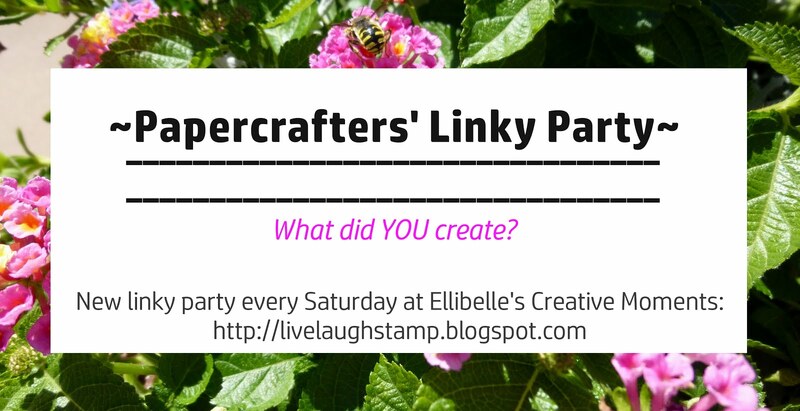 To play along simply leave a link to your blog post with the linky tool below. Please remember to leave a link back to my blog in your blog post and the given themes must be followed in order to be entered into the prize drawing. Happy Friday! I'm bringing you another card today with some "Oldie but Goodie" stamps, that haven't seen ink in maybe a decade? I thought this stamp set would be perfect for an Easter card with the beautiful 2-step stamping tulips. I incorporated some stencilling and background stamping and used Distress inks / Oxides for stamping. Some of you might recognize the main stamps from the Stampin Up set "Watercolor Garden 2". The butterfly stamp is from the Stampin Up set "Watercolor Garden 1". These are wood mounted stamps so it wasn't so easy lining up the 2nd step and I simply eyeballed and guessed, therefore the leaves are not lined up perfectly, but I think that just adds to the "handmade look" which sometimes gets lost nowadays with all the tools available now. I used Distress Ink Mowed Lawn for the stem and leaves (stamped off once for the lighter shade), and I used Wilted Violet Distress Oxide Ink, for the tulips, (also stamped off once for the lighter shade). I have no idea why the violet color is showing up more in a lilac tone on the photo... For the blue blossoms, butterflies and around the egde I used Tumbled Glass Distress Oxide ink. The tiny Happy Easter sentiment is from the Penny Black set "Chick to Chick" stamped in Versafine Clair Nocturne ink. The stamped words that you can see in the background were done with a retired stamp set by Whimsy Stamps - I think it's called Basic Borders and Backgrounds - but it's no longer available, using Spun Sugar Distress ink. If you look really closely, you migh even notice that I used a "canvas" background stamp. 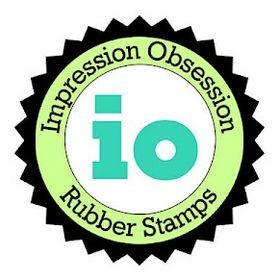 That's another old retired stamp from Stampin Up. The stripes were done with a Classic Stripes Stencil. Thank you so much for stopping by! I hope I could inpire some of you to look through your old - maybe forgotten stamps and create something pretty! I will be back again tomorrow with another card using another stamp set from Stampin Up, but not quite as old as today's stamps. Hope to see you then! Hello and welcome! Happy Saturday! It's time already for a new theme at Allsorts challenge, hope you can join us this week. Helene is hosting this week with the theme of "Sentiment is Focus" and we're giving away a great sentiment stamp set by Bee Crafty. The sentiment from the Penny Black set Happy Wishes was stamped using Versafine Clair Nocturne ink. I love the crips impression this ink gives. The script background stamp I used with Spun Sugar ink is an oldie but goodie from stampin Up - French Script. I carried this script over onto the card base. Before adhering the image panel onto the card base I inked up the edges with Blueprint Sketch Distress Oxide ink and distressed the edges.